After many rumors of its pending arrival, the Air Jordan 5 “Laney” is officially set to make a return this January. Previously released in 2013 after its initial arrival in 2000, this take on Michael Jordan‘s Emsley A. Laney High School roots will utilize a royal blue base in favor of white. Maize yellow accents round out the design, most noticeably on its “23” at the side and fuzzy “Jumpman” logo on the tongue. 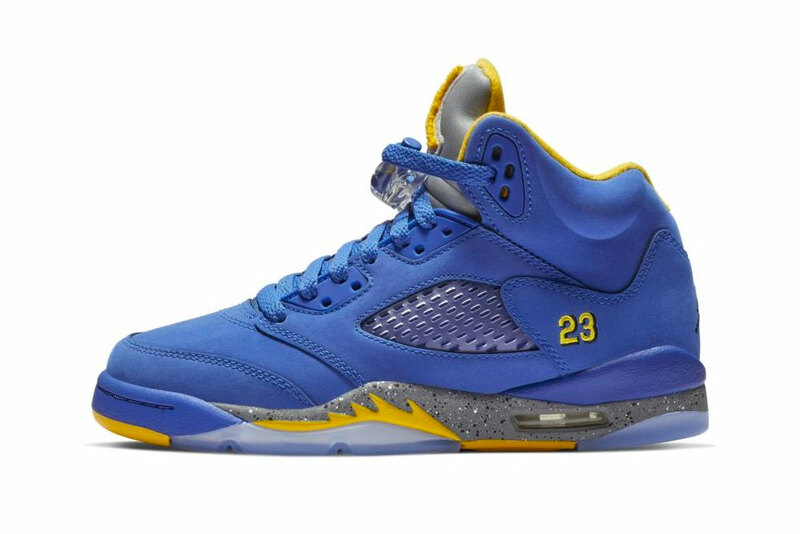 The Air Jordan 5 “Laney” is expected to drop January 19 in Mens and GS sizes for $190 USD online and at select Nike locations. In other footwear news, we’ve rounded out our top 10 sneakers of 2018. The post office was renamed after the late artist. A close look at the Japanese creative’s daily accessories. As selected by the staff here at HYPEBEAST.